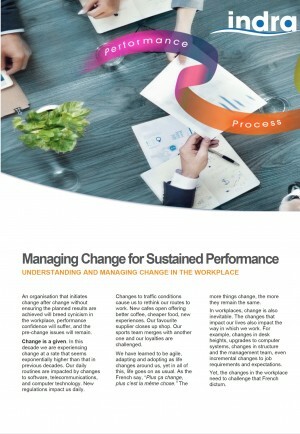 A guide to understanding and managing change in the workplace. If you are contemplating change or are responsible for change in your organisation, this 18 page report is written for you. The misinformation and myths that surround change compromise our ability to achieve positive outcomes and the associated business results. Discover the myths and the reality, as well as the keys to successful change initiatives. 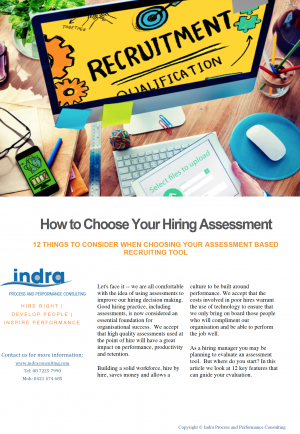 12 Things to Consider when Choosing an Assessment Based Hiring System. The guide explores the questions that should be asked and the functionality that should be provided by assessment-based systems that assist recruitment decision-making and management. The good news is — businesses of any size can benefit from cost-effective and user friendly systems. Now you can measure intrinsic behavioural factors that drive individual engagement — employee motivators & attitudes. 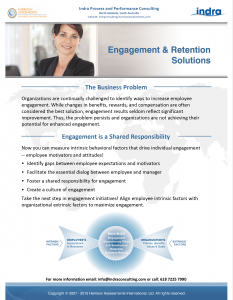 Align employee intrinsic factors with organisational extrinsic factors to maximise engagement. Hire for Success. 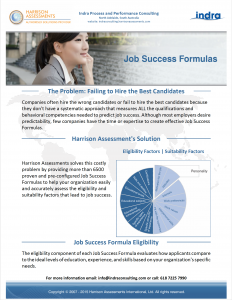 Harrison Assessments use a systematic approach to predict job performance and job success. More than 6,500 proven Job Success templates are provided to help your organisation hire successfully. 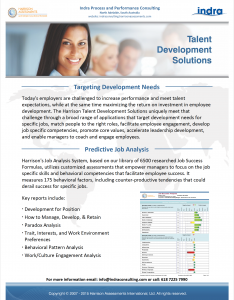 Succeed at the challenge of increasing performance and meeting talent expectations while maximising the return on investment in employee development with our range of development reports. Talent Readiness drives business results. 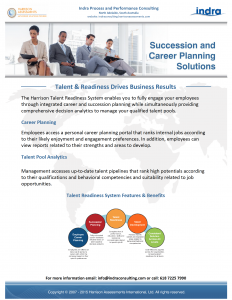 Our Talent Readiness System enables you to fully engage your employees through integrated career & succession planning that provides comprehensive decision analytics. 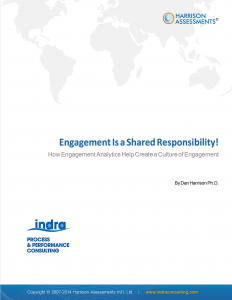 Engagement is a shared responsibility. 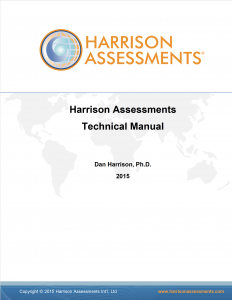 Harrison Assessments Engagement Analysis provides you with actionable date based on leading indicators of employee expectations to plan and align optimal strategies. 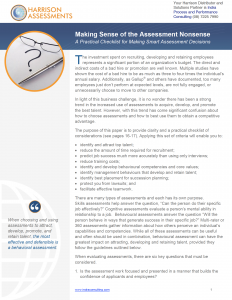 This paper provides clarity and a practical checklist of considerations when considering assessments so that the ROI on expenditure in recruiting, developing and retaining employees is realised. 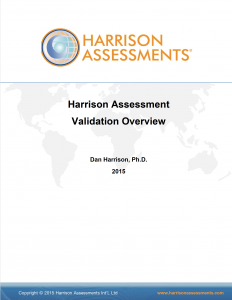 Harrison Assessments is both ipastive and normative It is ipsative in that items are ranked against each other in groups, and normative in that applicants’ scores for positions can be compared. 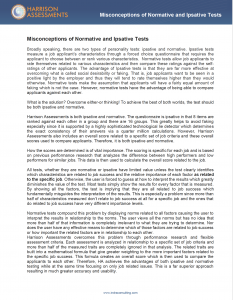 Two theories are integrated in the Harrison Assessment methodology: Enjoyment-Performance Theory based upon Behavioural Theory & Paradox Theory based on Jung’s Opposites Theory. A 65 page manual which describes in detail the two underlying theories — Enjoyment Performance Theory & Paradox Theory — & the empirical evaluation of Validity & Reliability.